Rather than welcoming new students to the library with quiet, boring library tours. the David A. Cofrin Library at the University of Wisconsin – Green Bay throws a party instead. 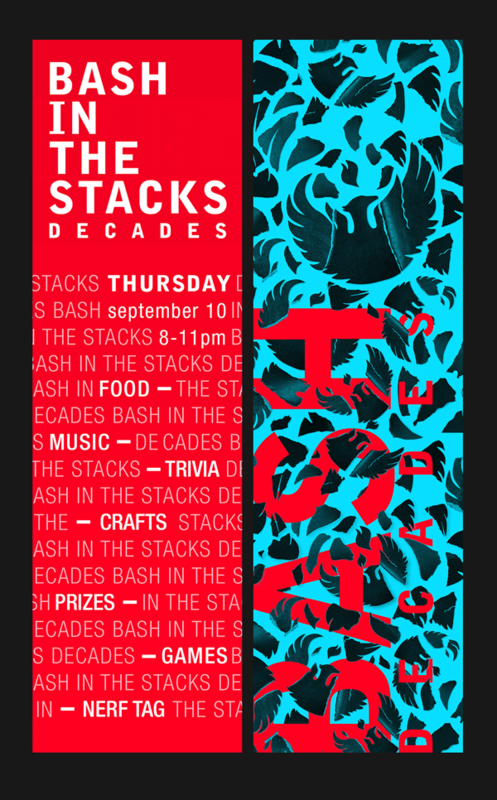 They call this party the “Bash in the Stacks”, and has become an annual event. Judging from the photos taken at the 2015 event, the Bash features: pizza, Operation, Twister, life-sized cardboard cutouts of Captain Kirk and Batman, crafting, button-making, dancing, and pictures of the cast of Full House. Previous Bashes included sumo suits. tricycle races, and giant Jenga. You know, typical party stuff. The Bash in the Stacks is Cofrin Library’s take on the even-longer-running (by one year) Helen C. House Party at College Library at the University of Wisconsin-Madison. 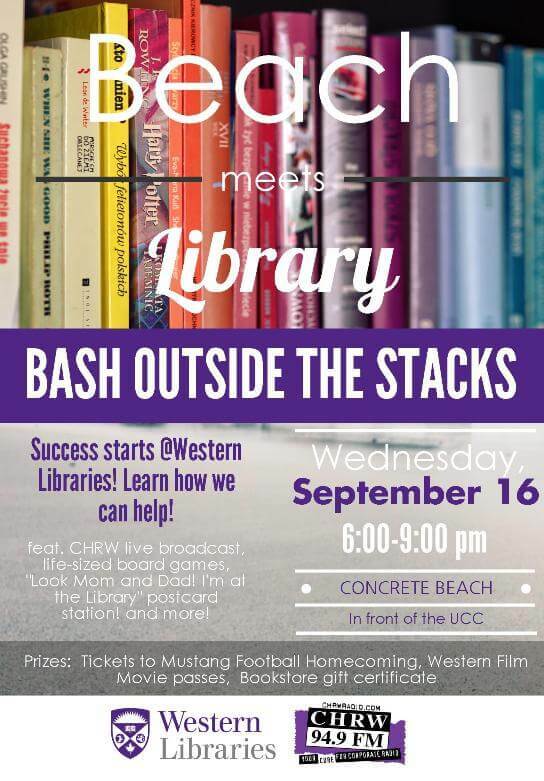 Word has spread about the success of the Bash (and House Party), and more libraries have held their own version of the event. I’ve spotted one at the University of Northern Iowa and another at Western University in Ontario (but “outside the stacks” – see image, right). Ad/Lib reached out to Cofrin Library’s Library Director, Paula Ganyard, to find out what makes the Bash a success. When it comes to planning the event, Ganyard suggests that having fun is key: “don’t try to play the bait and switch with the students. We just have a big party to welcome students and to allow them to have fun doing things that are usually taboo in libraries”. A second key to success, Ganyard says, is to collaborate with other areas on campus, including students, “We collaborate with student life and our Freshmen orientation program. The Chancellor’s office pays for the pizza and soda. Without the monetary help of those offices we couldn’t afford to do it. We also get help the night of the event from our student ambassadors, who help us run different stations”. Another way to mix it up each year is to play with different themes, “we have had themes from carnival, to retro, to rodeo …but we also have some annual favorites, like Nerf capture the flag in the stacks on the 6th floor, and crafts, especially the buttons!”. Do you throw a party in your library? Tell us about it, below.